Simon & Schuster Books for Young Readers, 9781442408227, 32pp. And the angel said unto them, "Fear not: for behold, I bring unto you good tidings of great joy, which shall be to all people." 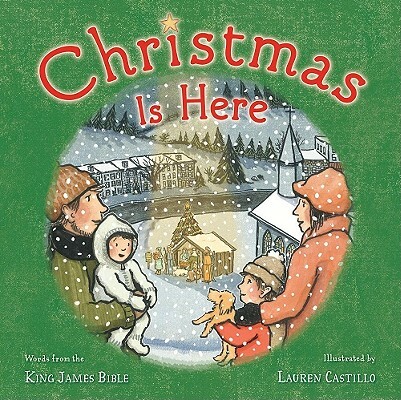 Audiences from religious and secular worlds alike are familiar with the comforting words from the second chapter of Luke in the King James Bible, most memorably featured in A Charlie Brown Christmas. Just as Linus reminded his community of the real meaning of Christmas, this touching tribute to an ancient text reminds us to focus on family and our fellow man instead of on gifts and indulgences. Accompanying the timeless, reassuring text is sweet, nostalgic artwork from acclaimed illustrator Lauren Castillo that embraces today's ever-changing definition of family.